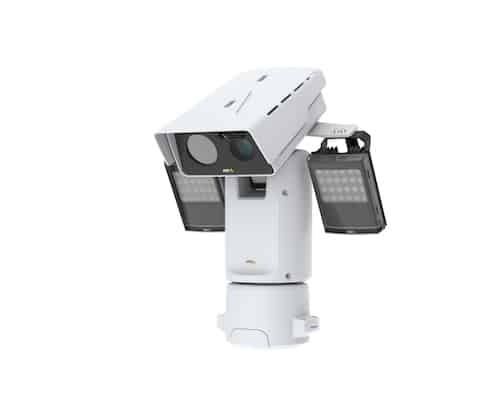 IP video surveillance is visual surveillance technology that combines the analogue advantages of the traditional Closed Circuit Television (CCTV) with the digital advantages of the IP communication networks. When it comes to monitoring machines or processes, we all think of numbers, charts and reports. However, we should not forget the magnificent added feature of being able to remotely see them in operation in real time and even to see recordings of their operation at times when an analysis is required. This technology allows us to both locally and/or remotely view the images and to register or digitally treat them for applications such as the recognition of number plates, the detection of occupied spaces or intrusions. Thanks to the latest technology, these systems are easier and more economical than traditional CCTV since, we can take advantage of the normal internet connection, therefore avoiding the installation of new cabling. IP technology is becoming more predominant thanks to its versatility, functionality, simplicity and optimisation of infrastructures. Due to a greater file compression that avoids high bandwidth and storage space consumption, wireless options of IP video surveillance even avoid the need for cable laying, therefore guaranteeing the high resolution of images. The versatility of this system allows events management by capturing specific video sequences for any particular circumstance, such as for movement detection or for predefined time bands. Proxima Systems is an Axis Developer Partner and we use their technology in our video products. Their extensive catalogue and years of experience mean that their products are a trustworthy and reliable option. From fixed cameras to motorised cameras (or PTZ), any solution is possible, adapting to the specific needs of each client without having to give up anything or to acquire a superior product with unnecessary features.